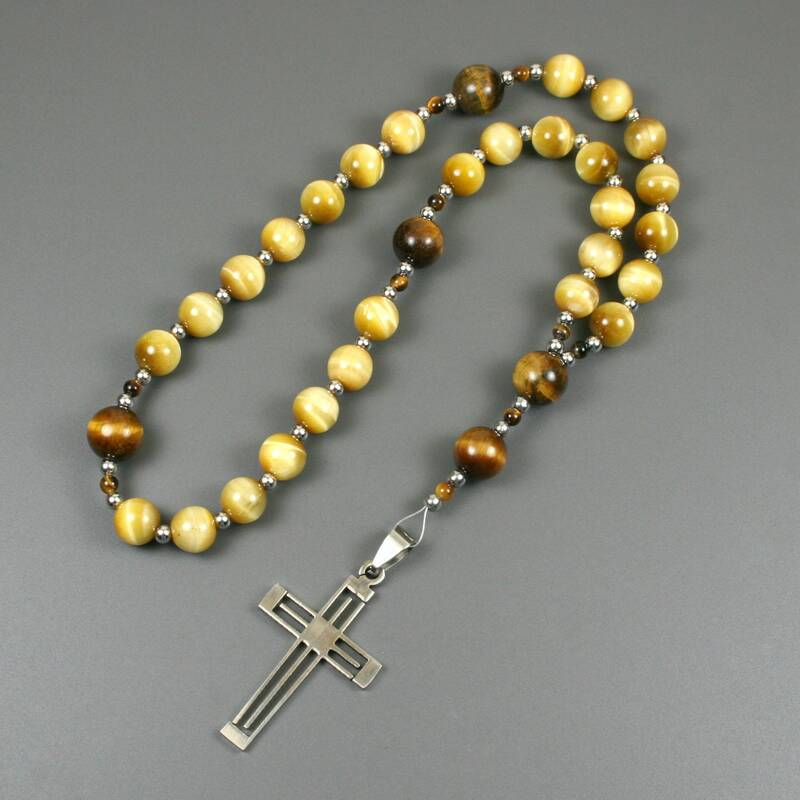 This rosary is made in the Anglican style with 4 sets of 7 beads in the loop. 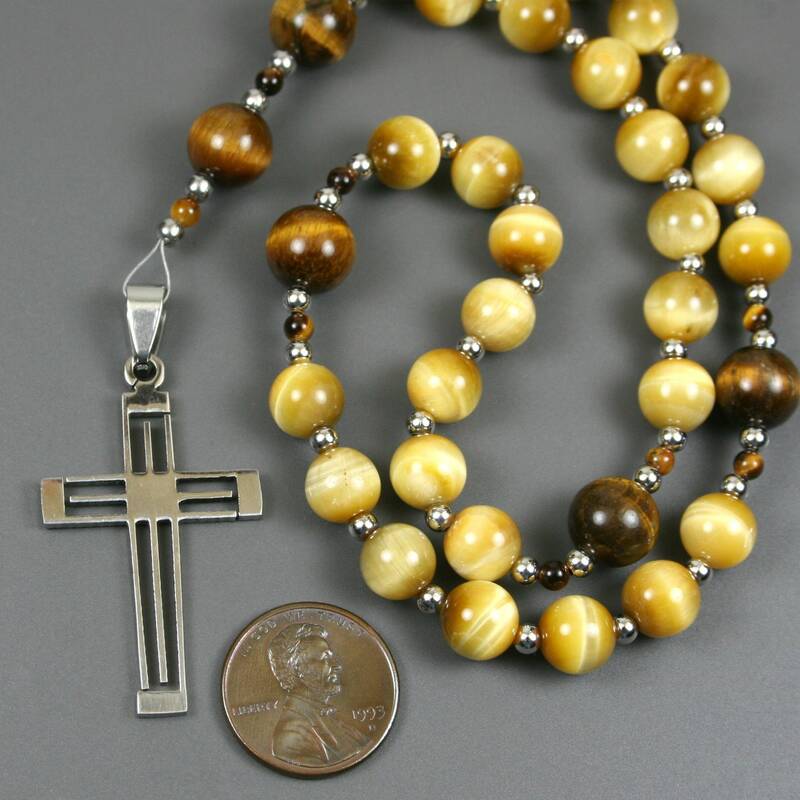 The smaller (week) beads are 8 mm honey tiger eye round beads, the large beads are 10 mm brown tiger eye round beads, and they are separated by 3 mm round imitation nickel plated beads and 3 mm round tiger eye beads, all strung on wire. 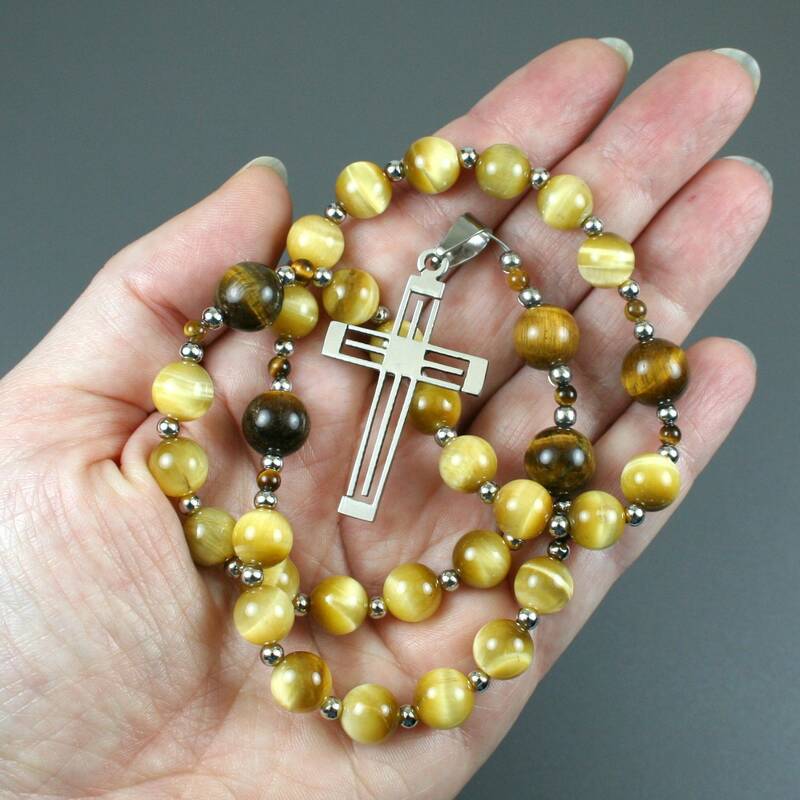 The stainless steel cross is 41 mm long by 24 mm wide with rectangular cut-outs. 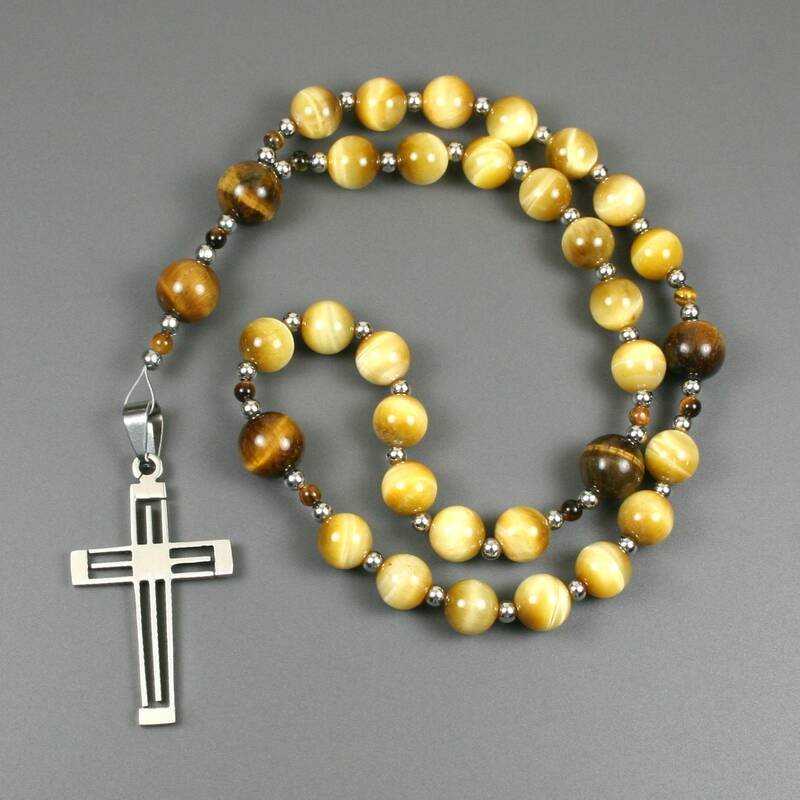 The entire rosary is approximately 11 inches from the bottom of the cross to the top of the loop when stretched out long. 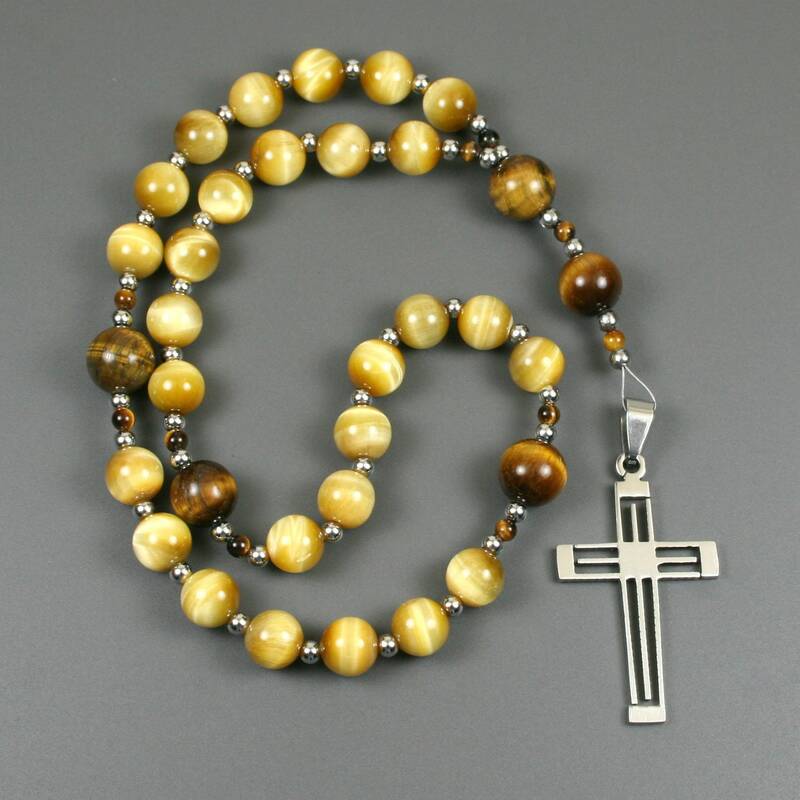 The silver colored components of this rosary are imitation nickel (zinc) and stainless steel, which results in a silver color that is all tarnish free.